"I hope to have glass in by winter," Zisser said. "The boards are a pretty good insulator, I think better than glass." Some windows at Zisser Tire & Auto Service are still covered with plywood. Owner John Zisser said he's waiting on a city permit to put in new glass. Zisser, who’s been at the location since 1987, maintains a good attitude. That’s after his business was broken into and looted in August and again following a St. Louis County grand jury’s decision not to bring charges against former Ferguson police officer Darren Wilson in late November. He said his business is down anywhere from 10 to 40 percent on a daily basis. "Some days are good, and a lot more are not so good. I won’t call them bad, but not so good," he said. Yet he’s grateful to the customers that have stuck with him and the few new customers he’s gained. Several small businesses along the street have closed their doors, including Red’s BBQ and Three T’s Beauty Salon. Ferguson community development coordinator Dan Bish said it’s hard to know exactly how many. He said businesses don’t have to report when they close, but he said many more have stayed open. "A lot of our smaller businesses are still making it by," Bish said. "The revenues are down, sure, but they’re still finding a way to get through and survive and maintain a presence in our business community." At Ferguson Market & Liquor the parking lot is hopping in the mid-afternoon. The store gained a lot of media attention after Ferguson police released security camera footage showing Michael Brown forcefully taking cigarillos. The store was looted in August and again in November. Priyanka Patel, whose father Andy owns the store, said it’s just not as busy as it used to be. Ferguson Market & Liquor is doing okay, but Priyanka Patel said many of their good customers have left the area. "A lot of our good customers have moved out of the area. Our regular good customers have moved out," she said. Across the street, Ferguson Burger Bar experienced no broken windows or looting. Opened the day before Brown’s death, owner Charles Davis stayed open late feeding protesters and reporters alike. Since the early part of the year, though, Davis said business has slowed, and he doesn’t exactly know why. "Business is down, but we’re seeing a consistent flow of the same customers," he said. In an effort to bring more people in, Davis has added more tables and begun opening on Sundays. He said once people stop being afraid of the area, he expects to see more customers. Ferguson Burger Bar owner Charles Davis said business has been down since the beginning of the year. 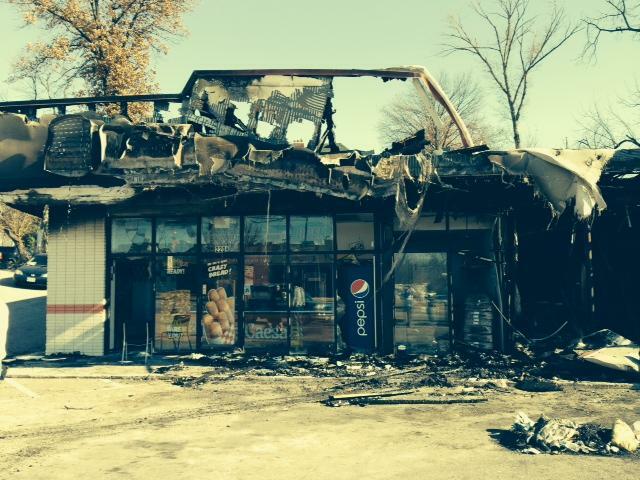 The city of Ferguson knows it has a perception problem. Bish said they’re addressing that. "Mostly what we’re trying to focus on is rebuilding that consumer confidence. That it’s still a safe place and your shops are still all there," he said. Several new construction projects are also helping that message. Bish points to work on Centene’s new building and Metro’s new transit facility, as well as a new Schnucks’ warehouse and SKF's planned engineering and manufacturing campus in NorthPark. Then there’s the Great Streets Initiative, an effort to revitalize the West Florissant corridor, which was approved before the events of last August. Bish said it calls for bike lanes, slower traffic and adding more landscaping and crosswalks along the busy stretch of roadway. "We want to make it a place where people want to drive through and stop, hang out and visit the shops," he said. Forces beyond economic development may determine whether businesses there thrive or stumble. The anniversary of Michael Brown’s death on Sunday will mark an important moment. John Zisser said for him it will be a day like any other. "I’ll just be thinking about what we do every day," he said. "Bad anniversaries I just don’t like to remember." 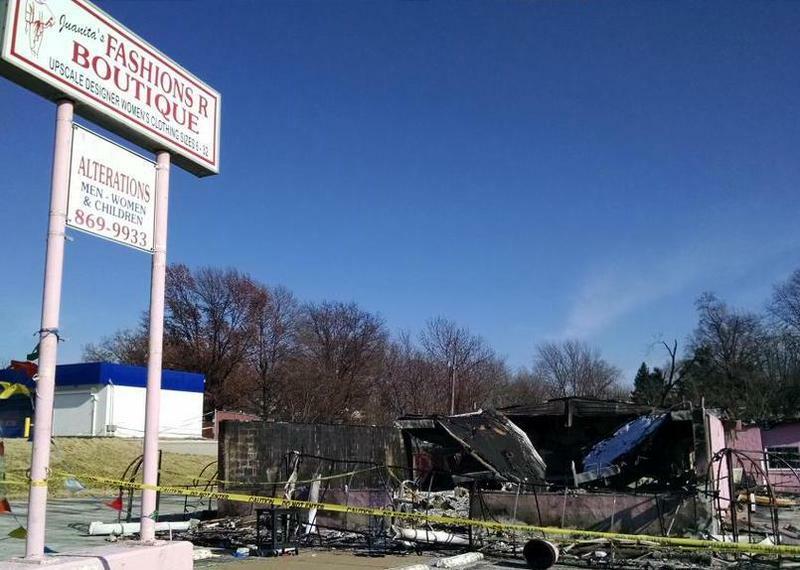 The United Way of Greater St. Louis is hoping to provide basic assistance to employees who lost work when businesses in Ferguson and Dellwood were looted or burned in November. But the agency is struggling to locate qualified individuals. Displaced employees who qualify for the assistance would have had to have lost their jobs or had their hours significantly reduced, by more than 40 hours a week, said the organization's vice president of community response Regina Greer. Realtors in the St. Louis area say they are fighting a negative perception of the region in the aftermath of last summer’s violence in Ferguson. Many in the market, especially in North St. Louis County, are concerned about low re-sale value, said St. Louis Association of Realtors President Janet Judd. About 200 realtors gathered at the association’s headquarters Friday to examine how the unrest and its aftermath have affected the area’s housing market. At least two funds are helping Ferguson-area businesses get back on their feet following the violence and unrest that has affected the area since August.